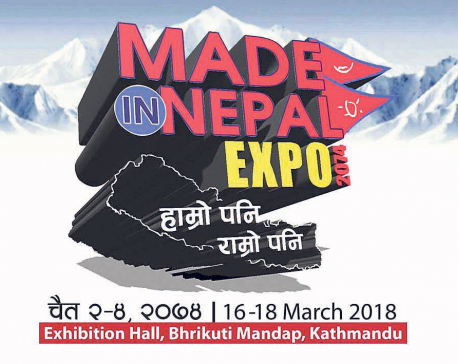 KATHMANDU, March 26: The eighth Nepal International Trade Fair is taking place in local Bhrikutimandap from March 28 to promote the international market for Nepali products. KATHMANDU, March 10: Enhanced Vocational Education and Training (EVENT) Project II, established on 21 January, 2018 is holding a fair at Bhrikutimandap in Kathmandu on Sunday, involving 59 training organizations of the country delivering training on 41 different topics. 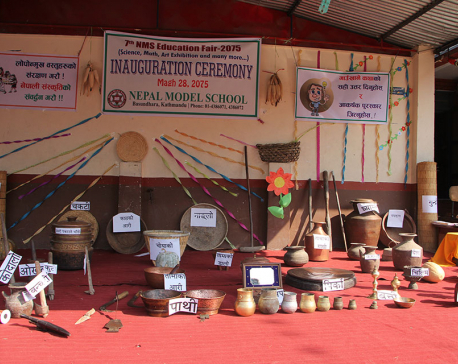 KATHMANDU, Feb 13: Nepal Model School has organized its 7th NMS Education Fair-2075 amid a special program on the school promises at Basundhara, Kathmandu. SYANGJA, Nov 19: Devotees on Monday thronged Ramdi, a holy place, to observe Haribodhani Ekadashi fair. KATHMANDU, Oct 8: Swings are synonymous with Dashain. They stimulate thrill and ecstasy. To increase the jovial mood during the festive season, many communities organize fairs. Along with the merriment at these fairs, Dashain also brings families together, helping create everlasting memories. 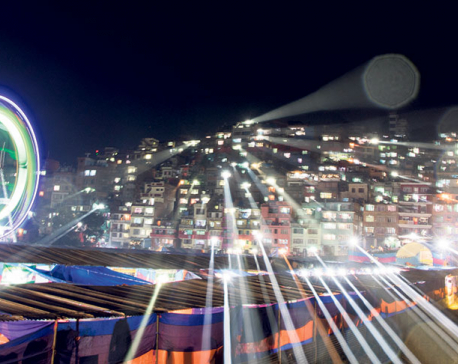 Marking the start of Dashain, Kirtipur organized the fourth Dashain Festival. Ferris wheel, Columbus ride, and well of death are the major attractions of the carnival. 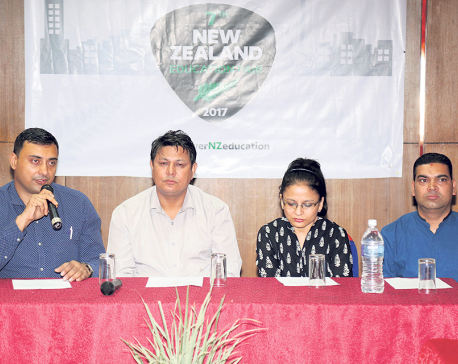 KATHMANDU, Aug 6: Nepal International Educational Consultancy (NIEC) is set to organize 'Australia New Zealand Education Fair' on Monday at NIEC's central office in Share Market Complex Building, Putalisadak. KATHMANDU, Aug 2: Global Reach is scheduled to organize 'Australian University Fair' at Hotel de L'Annanpurna, this Saturday. According to the press statement released by Global Reach, the fair will provide a common platform to interested students to collect information on 35 participating universities. KATHMANDU, July 30: Kangaroo Education Foundation (KEF) is set to organize a one-day education fair aiming to provide information to students who are looking to travel abroad to pursue further studies. 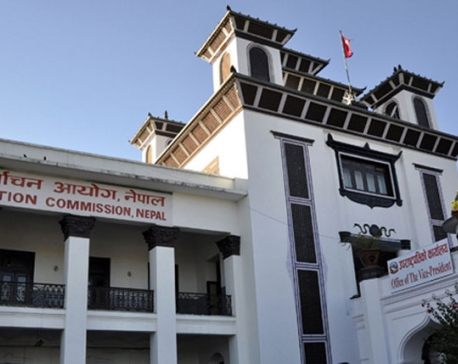 KATHMANDU, July 9 (RSS): Education Consultancies' Association of Nepal (ECAN) is organising the 12th Mega Education Fair in Kathmandu from July 19 to 22 to provide information and advice regarding education abroad. An interactive fair was organized in Tundhikhel, Dhading Besi, to promote, and celebrate women empowerment on Saturday. According to the press statement released by Equal Access International on Tuesday, the program was organized in collaboration between Equal Access International, UN Women and Samudayik Sarathi. KATHMANDU, June 24: In a bid to share information about Chinese universities to the Nepali students and provide quality education, 'Beijing Education Fair' has been organized in Kathmandu. Biggest Australian Education Fair ‘Australia Applications Day June 2018’ was inaugurated by Peter Budd, the Australian Ambassador to Nepal on Sunday at Hotel Yak & Yeti, Kathmandu. 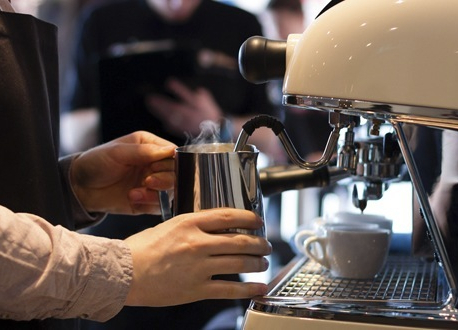 SYDNEY, June 1: Australia’s Fair Work Commission (FWC) has raised the minimum wage by 3.5 percent from July 1, it said on Friday, an increase almost double the current industry rate but half what unions had lobbied for. 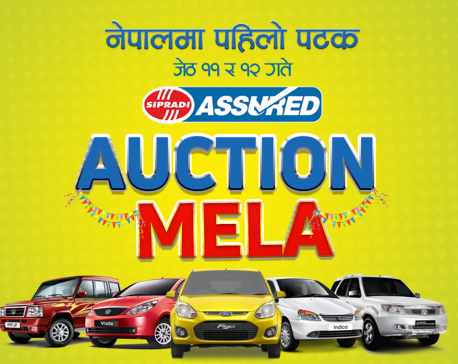 KATHMANDU, May 23: The first ever automobile auction fair is going to be held in the capital. 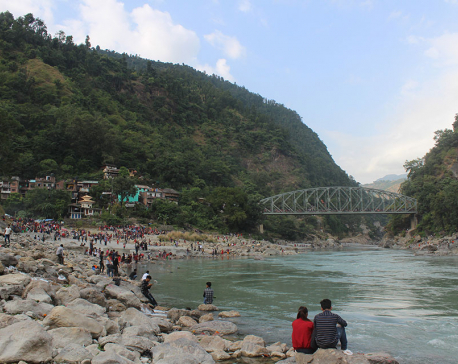 KATHMANDU May 9: The Nepal Forum of Environmental Journalists (NEFEJ) has appealed to the stakeholders concerned to take stern actions by probing into the aquatic animal's destruction along with fish in Andhikhola (river) near Galyang of Syangja district. 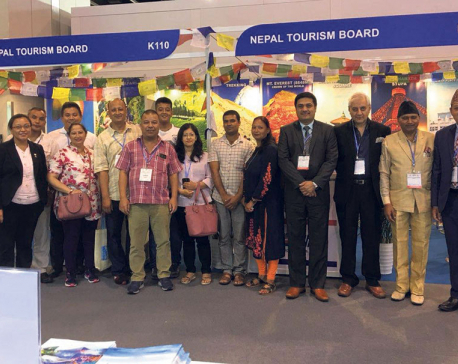 KATHMANDU, May 2: The Nepal 14th International Trade Fair and Cottage Industry Festival 2018 has concluded recording Rs 147.5 million worth of transactions. BANEPA, April 22: Farm products and the technologies being used on the field will be showcased in an agro fair and exhibition in Kavre district, being organized from April 28 to May 1. 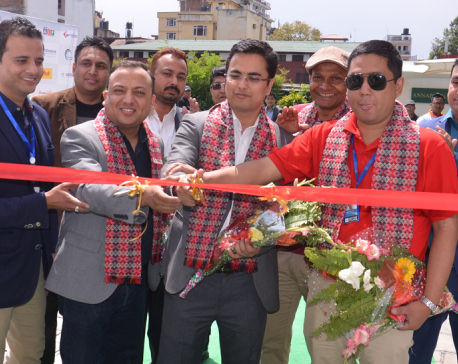 BHAKTAPUR, April 6:The fourth Bhaktapur Industrial, Cultural, Tourism and TradeFair kicked off in historic city Bhaktapur today. KATHMANDU, Mar 30: The third Mega Australian Education fair has kicked off in the Kathmandu targeting to the student of +2 and Bachelor’s student, who were willing to study abroad. 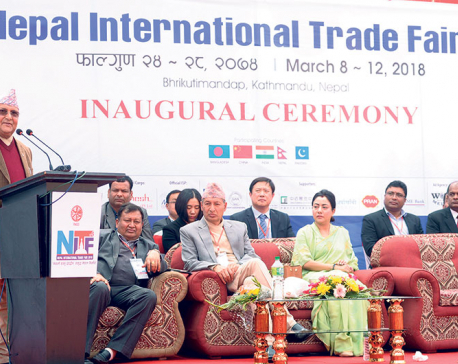 KATHMANDU, March 9: Prime Minister K P Oli Thursday inaugurated the 7th Nepal International Trade Fair at the Bhrikuti Mandap Exhibition Hall in Kathmandu. 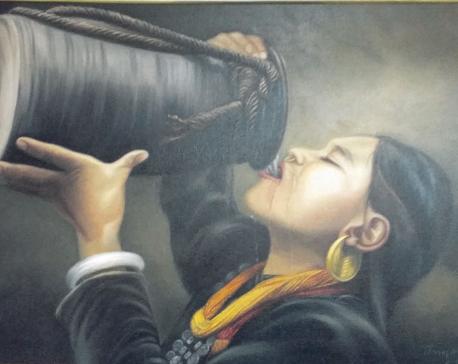 The Kathmandu Art Fair; Art for Society has kicked off from March 3 at Rastriya Nachaghar, Jamal. 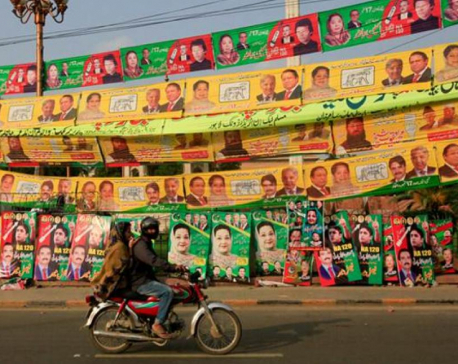 A total of 117 artworks, including paintings, sculptures, prints, traditional paintings, installation arts, performance arts and photographs, among others, have been put on display at the fair. 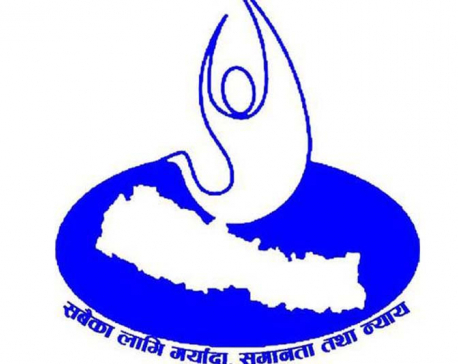 KATHMANDU, Feb 21: Nepal Youth Entrepreneurs Forum is organizing Made in Nepal fair in Kathmandu from March 16 to 18. KATHMANDU, Feb 17: Women Entrepreneurs Handicraft and Natural Fiber Products Fair kicked off in the premises of Tridevi Temple at Thamel in Kathmandu on Friday. 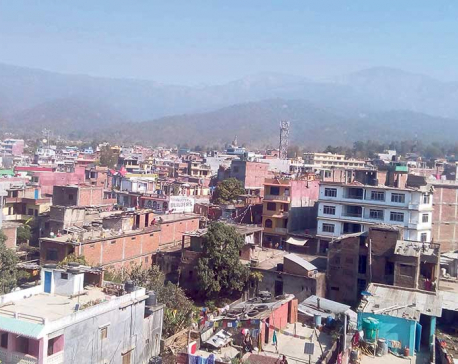 SURKHET, Feb 10: The 'Province level Trade, Tourism and Agro Festival-2074' has kicked off in Province-6 temporary capital, Birendranagar, on Friday. 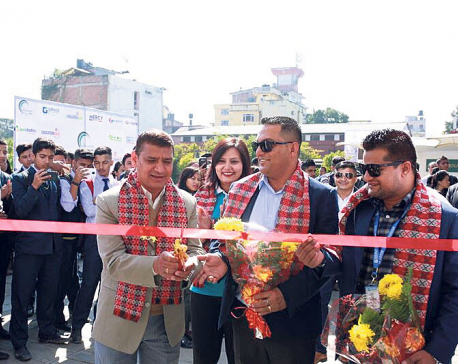 KATHMANDU, Feb 5: The 2nd Nepal-India Trade Fair & Tourism Festival - 2018 started in Dehradun of India from Monday. 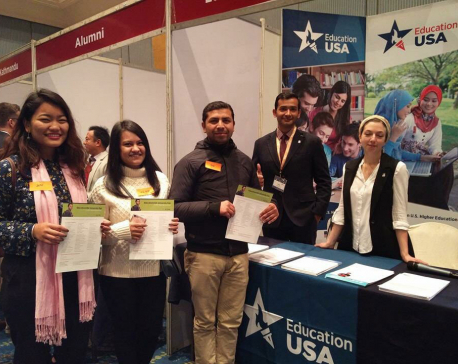 KATHMANDU, Jan 23: Kangaroo Education Foundation is all set to host the Kangaroo Education Fair on Tuesday at Hotel Annapurna, Durbar Marg with the aim to provide the students with right information and counseling regarding abroad studies. 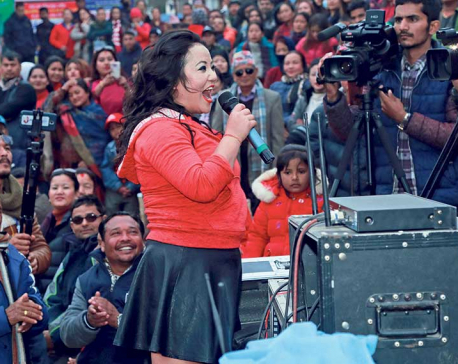 MYAGDI, Jan 22: The sixth Myagdi Festival and Maghe Sankranti Fair, and Province No 4 level Agriculture, Tourism and Industrial Trade Fair concluded here on Sunday, with transactions of around Rs 80 million. 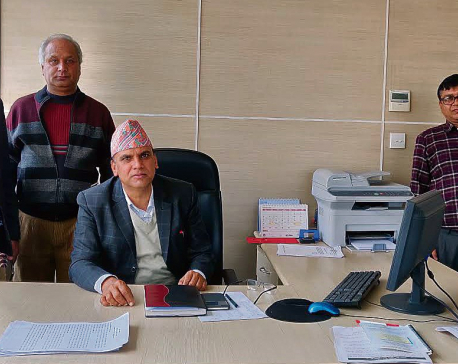 GULMI, Jan 21: The five-day Ridi fair that took place at Ridi of Gulmi district has witnessed financial transaction of Rs 370 million this time. POKHARA, Jan 17: Safal Rastriya Audhyogik Byapar Mela and second Mobile Mela 2074 being organized at Nayabajar, Pokhara on Sunday. 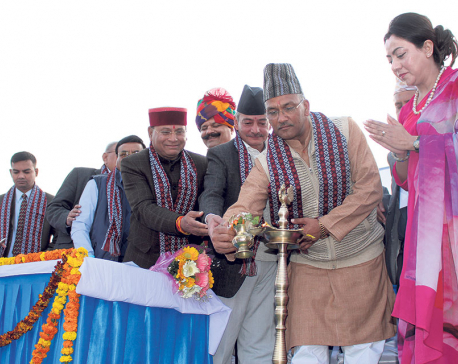 DHANGADI, Jan 14: Prime Minister Sher Bahadur Deuba has said that the parliament would get its full shape after National Assembly election. 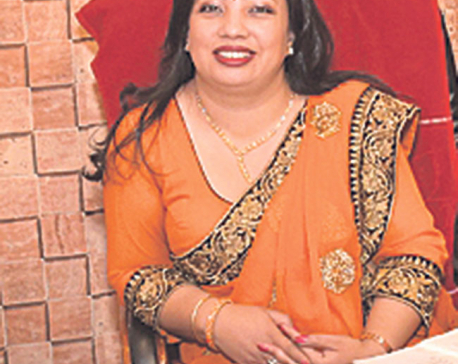 CHITWAN, Dec 2: Election Commissioners Ila Sharma and Sudhir Shah has directed the chief election officer, the election officials and the chiefs of the security bodies to make the House of Representatives and State Assembly election free, fair and rigging-free. 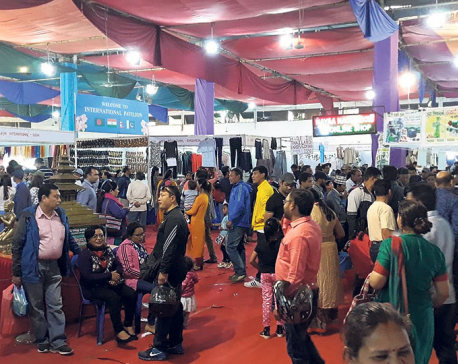 KATHMANDU, Nov 19: The Fifteenth Handicraft Trade Fair, which started at Bhrikuti Mandap Exhibition Hall in Kathmandu on Friday, has received more than 25,000 visitors on its second day. 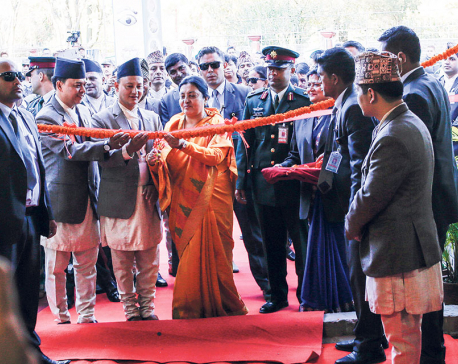 Issuing a statement, Federation of Handicraft Association of Nepal (FHAN) said that the expo drew transactions worth nearly Rs 10 million on the second day. More than 300,000 people are expected to visit the five-day-long fair, according to FHAN. 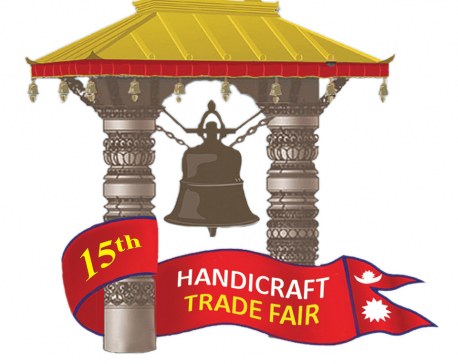 KATHMANDU, Nov 18: Fifteenth Handicraft Trade Fair, organized by the Federation of Handicraft Association of Nepal (FHAN), has kicked off at Bhrikuti Mandap Exhibition Hall in Kathmandu on Friday. KATHMANDU, Nov 11: One Up Pvt Ltd has organized a two-day ‘Mega Australia Education Fair-2017’ that kicked off at Hotel Annapurna, Durbar Marg on Friday. KATHMANDU, Nov 9: One Up Pvt Ltd is all set to organize the ‘Mega Australia Education Fair-2017’. The two-day event is scheduled on November 10 and 11 at Hotel Annapurna, Durbar Marg. KATHMANDU, Nov 3: The Federation of Handicraft Associations of Nepal (FHAN) is organizing 15th Handicraft Trade Fair and 13th Craft Competition in Kathmandu from November 17 to 21. 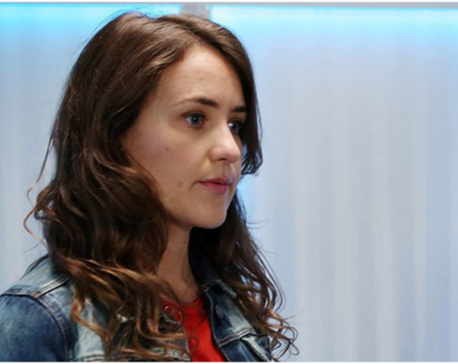 DUBLIN, Oct 25: Fair City star Amy O’Dwyer is jetting off to Nepal on Saturday to take on the Mount Everest base camp challenge, and she said her co-stars were shocked when they heard the news first. KATHMANDU, Sept 9: Hoards of young Nepali go to foreign countries each year in search of better education and work opportunities. KATHMANDU, Sept 5: Federation of Handicraft Association of Nepal (FHAN) is organizing 15th Handicraft Trade fair and 13th handicraft competition in Kathmandu from November 17 through November 21. The event will be organized with support from the Ministry of Commerce and the Trade and Export Promotion Center. 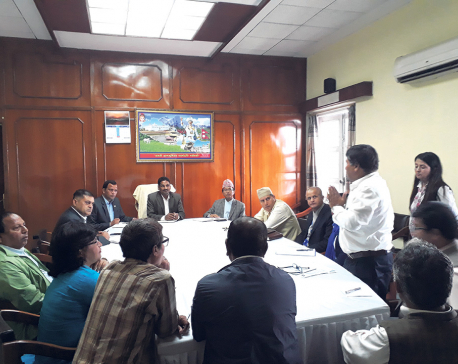 DHANUSA, September 2: Political party representatives have stressed on the need to hold the third phase of local level elections in a free and fair manner. 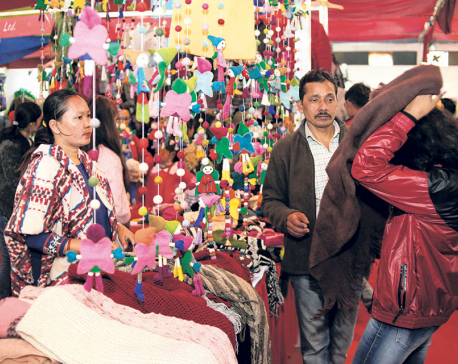 KATHMANDU, Sept 1: The government-operated fair price shops have come into operation from Friday in nine different locations of the Kathmandu Valley. KATHMANDU, Sept 1: The Ministry of Supplies has brought into operation the fair price shops to ease the supply of daily consumption goods in view of the upcoming seasonal festivals. 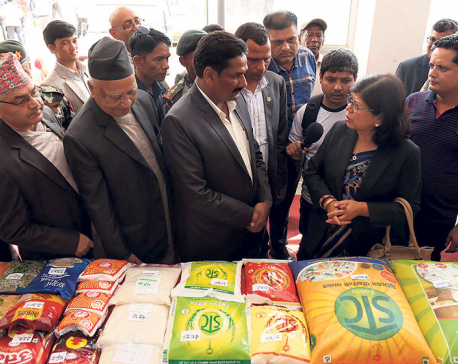 KATHMANDU, August 28: Government-operated fair price market has decided to provide discount of Rs 10 on a kilogram of ghee or paneer produced by Dairy Development Corporation (DDC). KATHMANDU, August 20: 'Herald College Kathmandu presents Nagarik Daily Education and Career Fair 2017’ successfully came to an end on Saturday at Hotel de Annapurna, Durbar Marg.